CX offers the OPI Spanish Test Preparation Oral Proficiency interview in Quetzaltenango, Guatemala and online with skype. The OPI is a structured assessment to establish the student’s speaking level of functional ability. This test is also used to measure the strengths and weakness of the student’s speaking oral proficiency. Created by the Foreign Service Institute of the US government more than 40 years ago, the original OPI was modified by the American Council of Teachers of Foreign Languages (ACTFL). Currently, the OPI is an oral test that bilingual and Spanish teachers must take in order to establish their level and obtain their teaching credentials. It is also used by school districts to assess the oral proficiency in Spanish before the candidate is hired. Judith’s classes were on point. She is an experienced, knowledgeable teacher who gave me all the tools I needed to pass the OPI. She was also really fun. I looked forward to talking to her each week, which made improving my language skills so much easier. Established in 1987, CX is currently offering more than 36 Spanish courses including test preparation for the DELE, Praxis II, BCLAD, TOPT, FSI, SAT II, CLEP, Content Knowledge 0191, MTEL among other tests. Our teachers have received the academic training and they are very familiar with these tests. Furthermore, we are the only program in the country with two academic agreements with two major universities in the United States. Welcome to 2018 promotion. $14.00 per hour when you purchase 10 hours. Regular tuition per hour is $15.00. Please paste this when your apply online 2018 Promotion. Expires May 30, 2018. Kelly Somrak took the OPI Spanish test prepration in summer of 2014. She was able to obtain the advanced level. 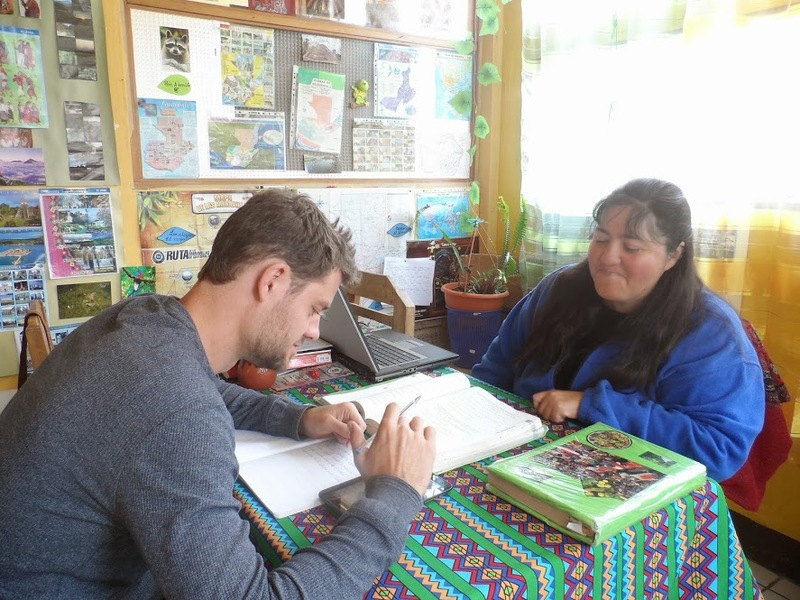 Casa Xelajú has done extensive research in how to prepare the students to take this test. Our teachers are prepared to work and improve the student’s speaking levels so they can pass the OPI. Each student receives one-on-one instruction five hours a day, five days a week. In addition Casa Xelaju offers their students home stay with a Guatemalan family and three or four social and cultural activities per week. CX also offers the Spanish test preparation for the Writing Proficiency Test (WPT). which you can take at the same time with the the OPI Spanish test preparation. Tuition for the OPI is $230.00 per week including homestay with a local family, three meals a day, own bedrrom, daily social and cultural activities, 25 hours of instruction, one-on-one format. If you cannot travel to Quetzaltenango, we are offering the OPI Spanish test preparation online through skype for students who cannot travel to Xelaju. You will have a highly qualified teacher with 27 years of experience teaching Spanish as a second language and more than 12,000 former students. CX is fully licensed by the Guatemala Secretary of Education.